The 10 Best After School Programs in West Virginia! After school programs provide children with opportunities to increase their learning and have fun doing it. West Virginia has a number of programs for young people and their families that promote literacy, expose children to agriculture and wildlife, and teach about all aspects of life in West Virginia. To give your child an education outside of the classroom, check out the best after-school programs in the state! One of the only national youth programs of its kind in the country, the Wildlife Habitat Education Program gives kids a general knowledge of the land, water, and wildlife found in the Eastern Appalachian area of the state. Students then have an opportunity to put their newly acquired knowledge into practice by participating in contests that give them real-life opportunities to develop management plans that include life skills, written and oral communication skills, decision-making and more related to conservation of natural resources. An annual Wildlife Challenge is the chance to show what they know, and this program is open to junior and senior 4-H members. Understanding that recent statistics puts West Virginia first in the nation for obesity, the Family Nutrition Program was created to teach about healthy lifestyles and uses various USDA guidelines as the source of information about improving access to local food resources, learning to read food labels, and being more active. This program targets young people through after school programs, summer camps, and other groups, and gives an opportunity for participation in events like the Kids Farmers Market where children get $4 in vouchers that can be used to buy food from local farmers. The kids and their families can sample items, get recipes, and take home produce and other items that promote healthy eating. Offered in 40 counties around the state and facilitated by teachers, parents, graduate students, local farmers, and community volunteers, this program is a great tool toward raising awareness of the benefits of healthy eating. West Virginia University is the sponsor of this fun-filled eight-week summer reading and nutrition program for children in rural and low-income areas of West Virginia. Since the program’s inception, over 3,000 children each year get guidance and help to achieve and maintain their reading abilities when school’s not in session, and get two meals a day during the length of the program. Locations vary from county to county, but you can contact your local WVU Extension Service office for more information. The goal of Mad Science, an international group dedicated to bringing science to children, is to expose and encourage kids in elementary school to participate in hands-on learning activities that enhance and supplement what they learn in school. Through corporate partnerships, parent and teacher involvement, and local community volunteers, Mad Science uses in-class workshops, birthday parties, summer camps, and after school programs to teach scientific principles that spark questions and creativity like creating an indoor thunderstorm following invisible sound waves. Check the website to find out where after school programs are being offered in West Virginia. Joining forces to teach young people to dream big, Charleston Christian Church, Horace Mann Middle School, and the Switzer Center offer elementary students and their families opportunities to learn about financial responsibility and Appalachian music with boot camps, West Virginia wildlife through trips to nearby wildlife centers, social skills like how to be a better friend through targeted workshops, and science fun and facts with hands on activities. Open Monday through Thursday, children get breakfast and lunch provided as part of the program. Dedicated to teaching children the value of making smart choices and being the best person they can be, the YMCA of Southern West Virginia in Beckley offers an after school program during the school year for children from pre-school through fifth grade. 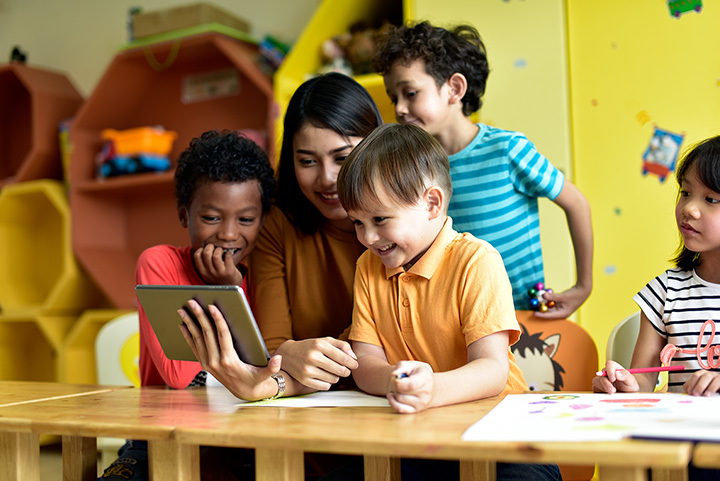 Fees are reasonably set, and children can get help with homework, enjoy healthy snacks, and learn how to make new art and crafts, and play in a supervised environment. Certified teachers are part of the staff, and help make the experience fun. Started in 1971 with the purpose of providing readiness programs for pre-school children, learning centers were established in several counties of West Virginia. Over the next 19 years, the program gained momentum and was so successful that it was nationally recognized as one of 10 “Exemplary Programs” by the National Association for the Education of Young Children. The goal of this community-based program is to give young children a safe place where they can be nurtured and given opportunities to learn in an environment that challenges them intellectually, physically, and socially from birth through the completion of elementary school. There are a variety of programs available for the youth of West Virginia at Princeton Health & Fitness Center in Princeton. Open Monday through Friday, after school programs are a great way to help children transition from school to home and a help to parents who have work schedules or other commitments that require guardianship of their children during that time. Homework and snacks are part of the after school program, and kids are given a chance to increase their skills through activities like swimming, exercise, and other fun events. JED is a non-project organization that works to protect the emotional health of teens and prevent suicide during the transitional stage of leaving high school and starting college. Understanding that this time can be challenging greater than the academics learned throughout school, Set to Go offers information, tools, and guidance to find the right college, develop social and coping skills for times of high stress, and generally helps the adjustment to adulthood and life in college. Topics of discussion include basic life skills, putting college in perspective, developing social and emotional skills, understanding mental health and substance abuse, and other special or unique needs faced by young people at this age. Using interactive technology and a unique approach that includes evaluation, establishing a personal academic plan designed specifically for your child, teaching and adapting to the way in which your child learns best, and encouraging application of what’s learned, Sylvan Learning Centers are so certain that they can help students achieve a higher degree of success in school, they guarantee it. Subjects are taught by certified teachers for grades K through 12 and include math, reading, writing, study skills, ACT/SAT preparation, and other special aptitude courses.